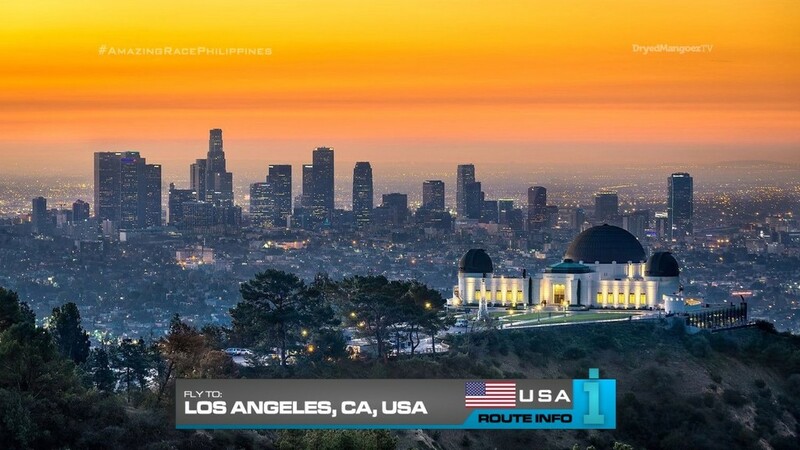 The fifth Leg of the Race begins with teams finding out their next destination is Los Angeles, California! Teams will be on one of two flights: American Airlines arriving at 5:58am or Alaska Airlines arriving at 6:08am. 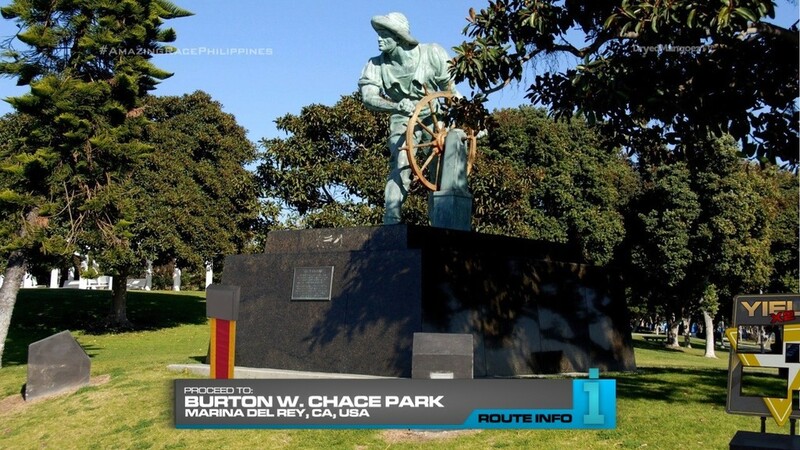 Once in Los Angeles, teams must take a taxi and find “The Helmsman” in Marina del Rey. 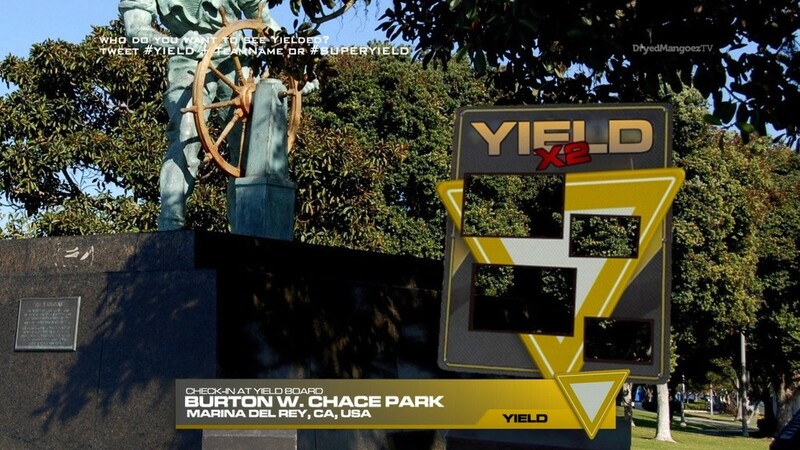 They will need to figure out the next clue is at Burton W. Chace Park. But first, teams must check-in at the Double Yield board! The Super Yield may be used here. After the Yield, teams can open the next clue which tells them to search the area for one of two buses departing immediately for a secret location. Up to five teams can ride on each bus. 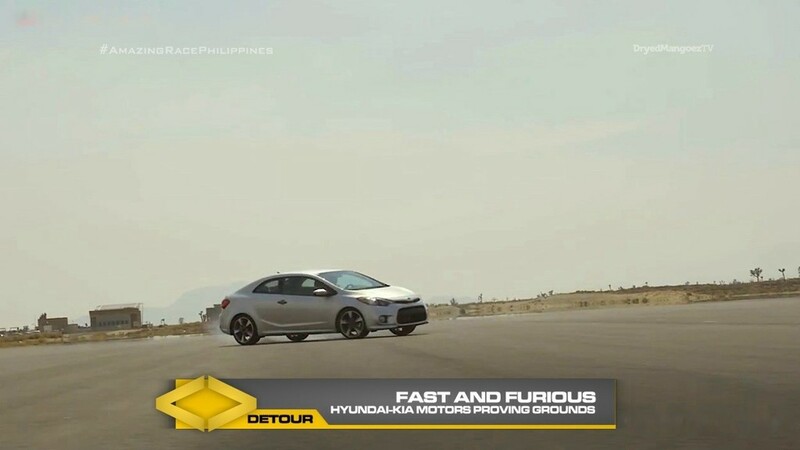 The secret location is actually the Hyundai-Kia Motors California Proving Grounds in California City. 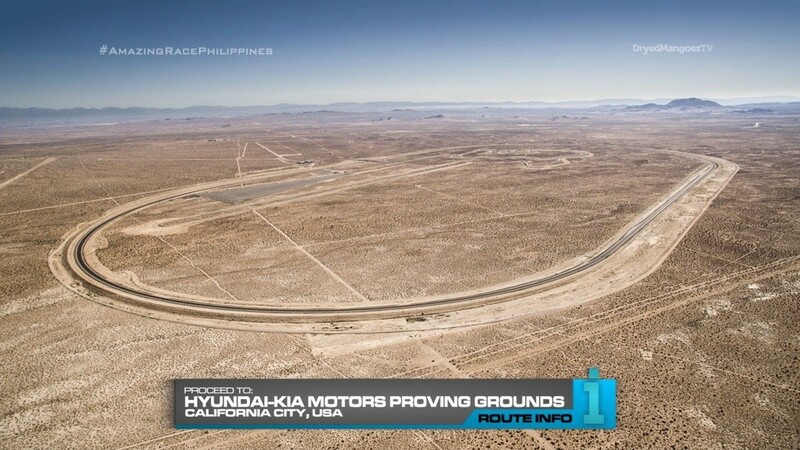 This desert facility is where Hyundai-Kia Motors tests their newest innovations to ensure the very best vehicles for the whole world to enjoy! And also here, teams will find the Detour: Rough and Tumble or Fast and Furious. For both Detours, teams will get to test out the newest, top secret Kia models. In Rough and Tumble, teams will test out their brand new Kia on a variety of terrains. To find these terrains in this expansive facility, teams will use the GPS on their provided Samsung Galaxy S8 Edges. Each team member must then drive at least one of the terrains. Once they’ve tested the car over the three, they will receive the next clue. 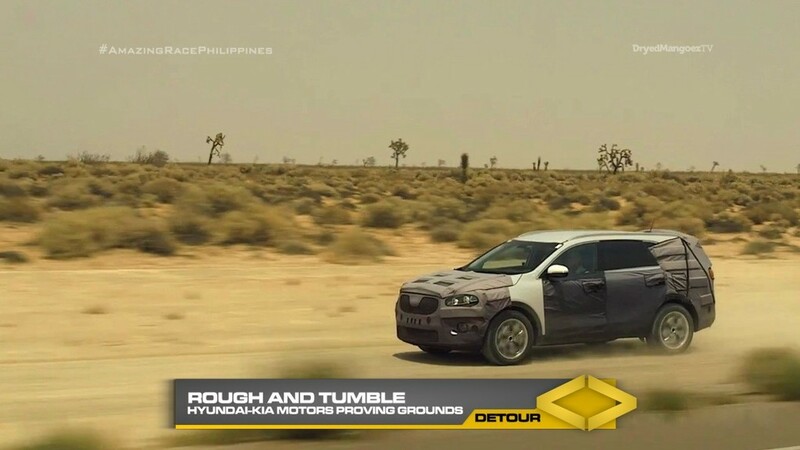 In Fast and Furious, teams will get to test out their brand new Kia in a series of obstacles. Each team member will first need to do an acceleration test by accelerating to 100 mph and then breaking at a designated spot. They will then finish through a slalom course and perform two victory doughnuts to get the next clue. 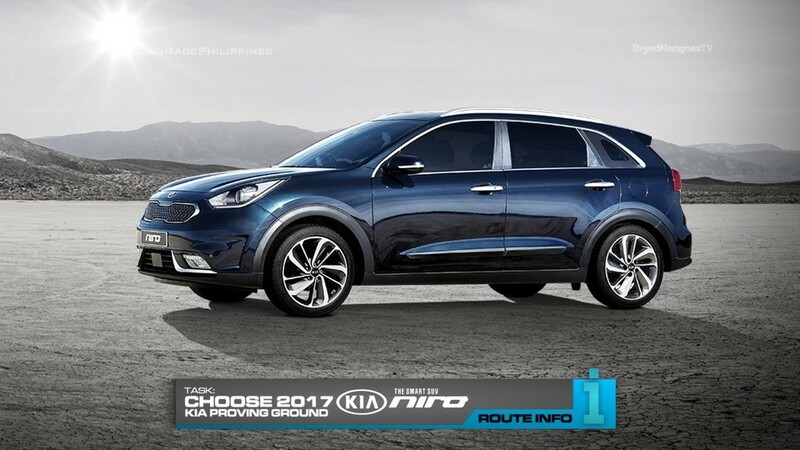 After the Detour, teams will get to choose a brand new 2017 Kia Niro Hybrid. 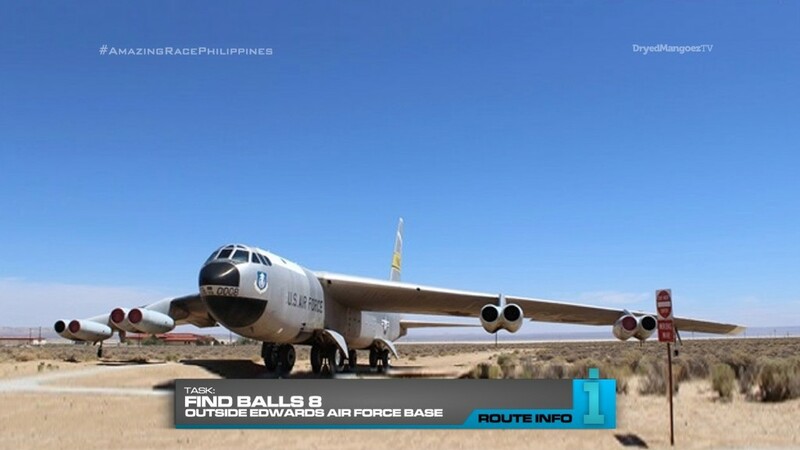 They will then need to find “Balls 8” installation at Edwards Air Force Base. And the clue reveals the next Road Block: Who’s ready to fly high? 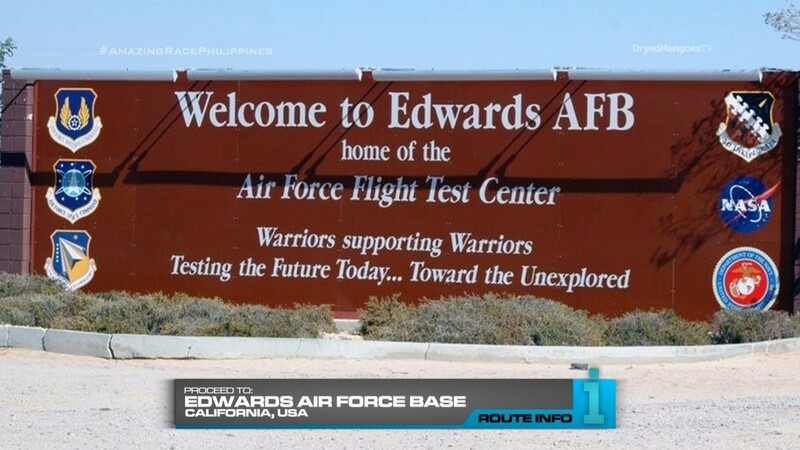 Teams will first be escorted to the US Air Force Test Pilot School. For this Road Block, teams will perform a flight simulation. If they pass, they will get the next clue. 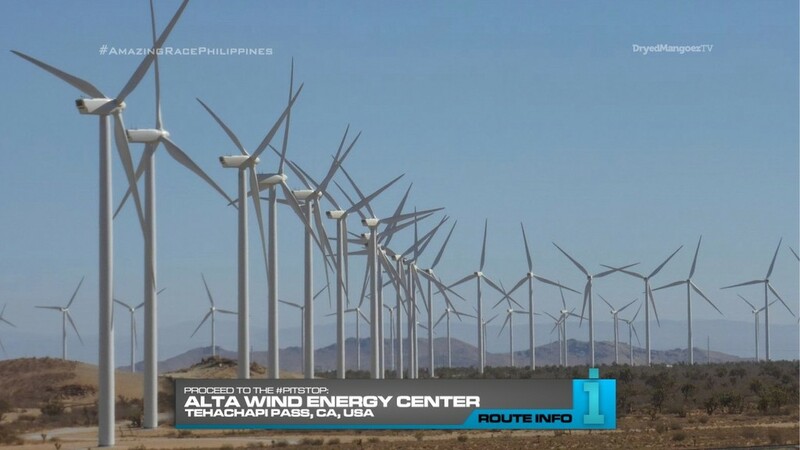 Teams can now drive their brand new 2017 Kia Niro Hybrids to the Alta Wind Energy Center, the Pit Stop for this Leg of the Race. The first team to check-in here… will each win a brand new 2017 Kia Niro Hybrid utility vehicle! Their new cars will be shipped to the Philippines! If I had known Kia had proving grounds in Southern California, I would’ve included it during the LA Leg of TARPHDM7. So I’m giving the wonderful, dedicated sponsor of TARPH their very own Leg here. I don’t know how this Leg could play out on TV, but the hope is that the Detour will present enough thrills and challenges to fill the episode. 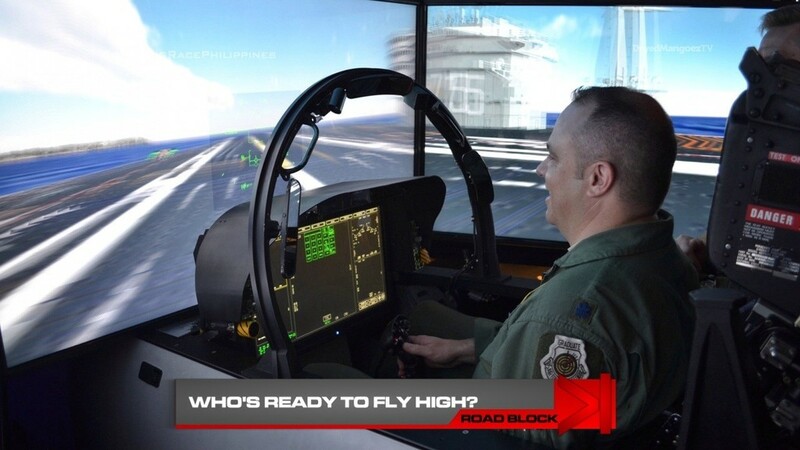 The Road Block, a recycle of plenty flight simulation tasks in the past, is really just to get teams onto an American military base. The Pit Stop location though should look absolutely stunning in 4K UHD with drone shots.